Reactive oxygen species (ROS) are increasingly appreciated as down-stream effectors of cellular damage and dysfunction under natural and anthropogenic stress scenarios in aquatic systems. This comprehensive volume describes oxidative stress phenomena in different climatic zones and groups of organisms, taking into account specific habitat conditions and how they affect susceptibility to ROS damage. A comprehensive and detailed methods section is included which supplies complete protocols for analyzing ROS production, oxidative damage, and antioxidant systems. Methods are also evaluated with respect to applicability and constraints for different types of research. The authors are all internationally recognized experts in particular fields of oxidative stress research. This comprehensive reference volume is essential for students, researchers, and technicians in the field of ROS research, and also contains information useful for veterinarians, environmental health professionals, and decision makers. 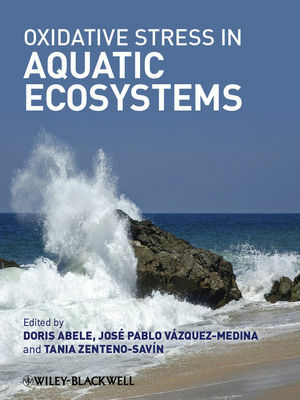 Doris Abele is a marine animal physiologist, biochemist and marine ecologist. She has specialized in oxygen radical research since 1990. She leads a research group for "Stress Physiology and Aging in Marine Invertebrates" at the Alfred-Wegener Institute for Polar and Marine Research in Bremerhaven, Germany. Tania Zenteno-Savin is a marine biologist at the Centro de Investigaciones Biológicas del Noroeste (CIBNOR) in La Paz, Baja California Sur, Mexico. Her research focuses on comparative aspects of oxidative stress components in marine organisms. José Pablo Vázquez-Medina is a marine biologist based at the University of California Merced. He studies the effects of fasting, diving and sleep apnea on oxidative stress and antioxidant metabolism in marine mammals.